Design changes similar to the 2016 HB20 hatchback. Along with the facelifted 2016 Hyundai HB20 hatchback and HB20X crossover, Hyundai will also introduce an updated version of the HB20S sedan. The design changes of the new HB20S will be similar to the 2016 HB20 hatchback. Courtesy of Noticias Automotivas readers Fabiano Douglas and Robert Choairy, the Hyundai HB20S was spotted testing in Brazil, featuring minimal camouflage. Although the front-end has not been revealed yet, it will get an updated headlight cluster with projector lens and LED DRLs, revised bumper with a new 6-point grille and chrome accents. 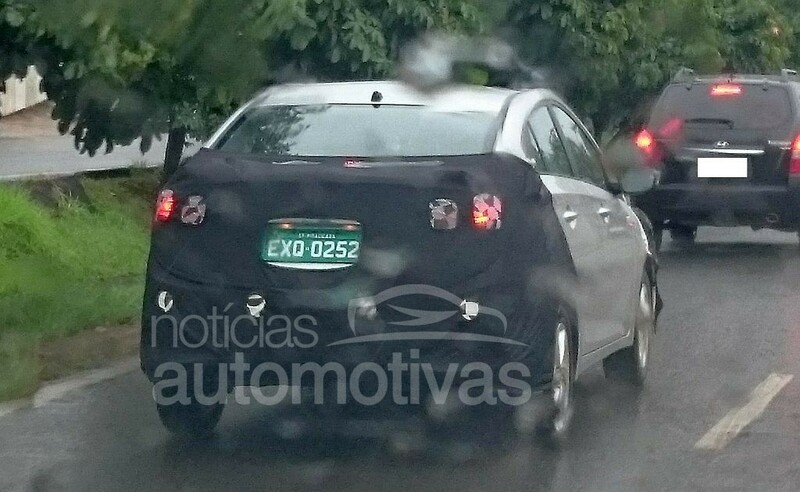 The rear-end will have an updated taillight cluster and a slightly re-profiled bumper. The rear-end will have an updated taillight cluster and a slightly re-profiled bumper. Inside, the new HB20S could carry over the new Dark Brown leather upholstery and improved sound insulation from its siblings. 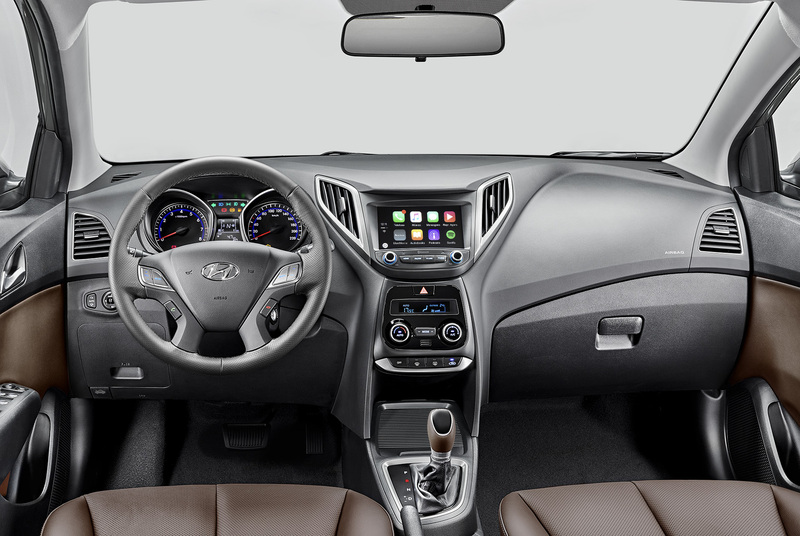 The dashboard houses a new 7.0-inch touchscreen multimedia system with support for Apple, Samsung and LG devices. The 2016 HB20 hatchback has dual airbags, auto air conditioning and piano black details on the center console. The new HB20S could carry over the new Dark Brown leather upholstery and improved sound insulation from its siblings. Engine lineup includes the same 1.0-liter flex-fuel producing 80 hp and the 1.6-liter unit rated at 128 hp. Hyundai is likely to replace the 4-speed automatic with a new 6-speed automatic offered in the 1.6L variant.